Psalm 139 is one of my favorite psalms. In today's Scripture passage, King David is declaring that there is absolutely no place he could go to escape the presence of God. If he goes to heaven, God is there. If he even descended into the earth, God is there. David goes on to say that wherever he goes, the hand of the Lord will lead him and hold him. What an amazing promise! Wherever you go, God goes with you. The universe does not contain the Lord. The Lord contains the universe! In Acts 17:28, the Apostle Paul declares to the Greek philosophers that 'in him (God), we live and move and have our being.' The Godhead is closer to us than we could possibly imagine. For those of us who have received Christ, we are the temple of the Holy Spirit. God dwells within us and has established His kingdom there. If you feel that you are alone in this world, if you struggle to sense God's presence, be encouraged in today's promise. God is with you. 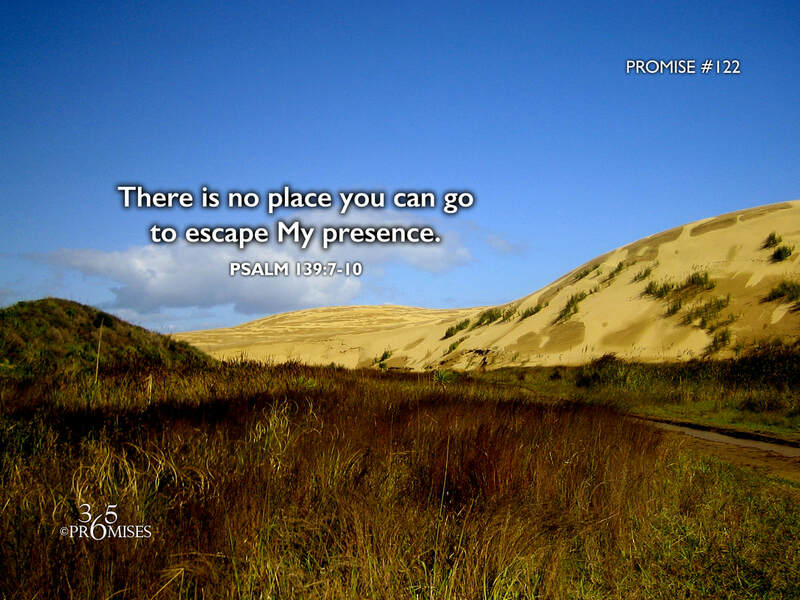 He is always with you, for there is no place that you can go to escape His loving presence!